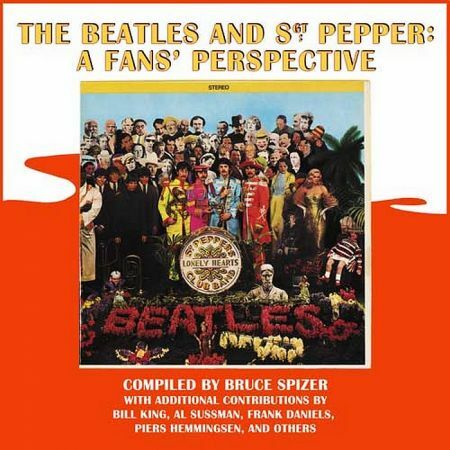 Al, Ken, Allan and Steve welcome Beatles author Bruce Spizer, who talks about his new book about the Beatles "Sgt Pepper" album that chronicles what the album meant to fans. Also, we have a preview of the upcoming Beatles' "Sgt. Pepper" box set and talk about what's in it and what was left off. We also say goodbye to Al Sussman, who is making his last regular appearance on the show. Be sure to let us know what you think about this episode and any other. You can send your comments to our email address thingswesaidtodayradioshow@gmail.com, join our "Things We Said Today Beatles Fans" Facebook page, tweet us at @thingswesadfab or catch us each on Facebook and give us your thoughts. And we thank you for listening. Don't forget, you can also always stream the show from our very own YouTube page. And we invite you to please write a review of our show on our iTunes page. Be sure to check our Podbean page and on iTunes regularly for our latest shows, which usually appear each week. Or better yet, subscribe to our iTunes, Podbean or YouTube pages and get notified when a new show is waiting for you.